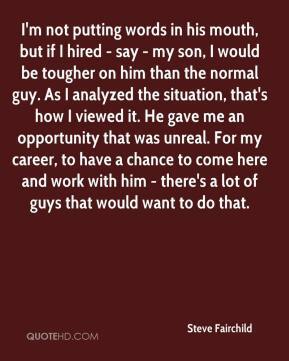 I'm not putting words in his mouth, but if I hired - say - my son, I would be tougher on him than the normal guy. As I analyzed the situation, that's how I viewed it. He gave me an opportunity that was unreal. For my career, to have a chance to come here and work with him - there's a lot of guys that would want to do that. 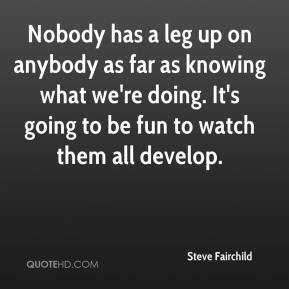 Nobody has a leg up on anybody as far as knowing what we're doing. It's going to be fun to watch them all develop.